The Mysterious and Elusive Secret Ingredient Finally Revealed! Alchemy and the Philosophers' Stone are real. This is not a joke or a scam. 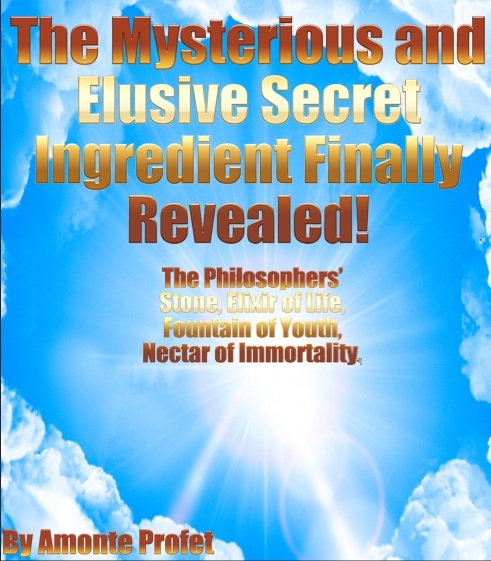 This 199 page e-book covers the full theory and practice of alchemy and how to make the Philosophers' Stone, capable of reversing the aging process and curing all disease to the effect that one could live forever. This is an ancient secret which has never before been publicly released. Please read the book before making any judgement on it; this world is not what it seems to be. Versions of this book have been released but for reasons to mislead the masses the true secret ingredient was left out and replaced with undesirable compounds eliminated by the body.